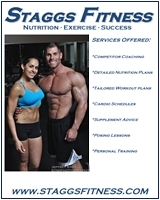 Home Articles THE LIFE Becoming an IFBB Pro: The process, cost, and challenges! First, you must compete and place, typically top 2 in your division, in an NPC National Qualifying Event. 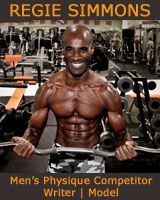 This allows you to compete in an NPC National or Jr. National competition. These shows consist of only the best of the best amateurs from around the world. Many divisions can have 50-60+ competitors that you'll have to beat. Depending on your division and the national show either the division winner or top 2 placers earn that IFBB Pro card and advance to the Pro level. Breaking down the steps of qualification, it almost doesn't seem unrealistic or even difficult for anyone to become a pro competitor, but this is just one part of the process. There are beyond the stage aspects which can't be seen by anyone except yourself. You need to take into consideration the financial aspect of it as well. Competing can put a huge dent in your bank account and ultimately prevent you from competing more than a couple of times per year. This will stretch out the process of turning pro and possibly deter you from continuing. *Don't forget your usual food, supplements, gym costs, and some extra travel expenses. ** I competed in 4 national shows along with a few local shows before earning my IFBB Pro card. The approximate expenses and how to qualify are fairly straightforward, unfortunately there are personal issues you'll face while prepping for any show at any level. Mental strength has ran off numerous competitors who couldn't get through the emotional ups and down associated with contest prep. Eating in a deficit can affect hormone levels which elevates the emotional roller coaster and can break an athlete to the point of quitting. Also, it's sad and disheartening to see the people who are supposed to be your biggest supporters turn into your biggest challenge. They either become jealous or selfish and continually throw a wrench in your progression. I've seen this lead to loss of friendships, breakups, and distance created in families. When this happens it can cause you to feel guilty, alone, and unsupported. Not everyone deals with all these challenges but keep them in mind and ask yourself, "At what expense will I take to become an IFBB Pro?"